We’re all guilty of a post-dinner-watching-TV refrigerator raid. I’ll put my hand up to this one! My favourite snacks to grab, a handful of crispy grapes, a couple of chunks of cheese and some olives. See, my late night snacking is all about a tasty foods as opposed to sweet. 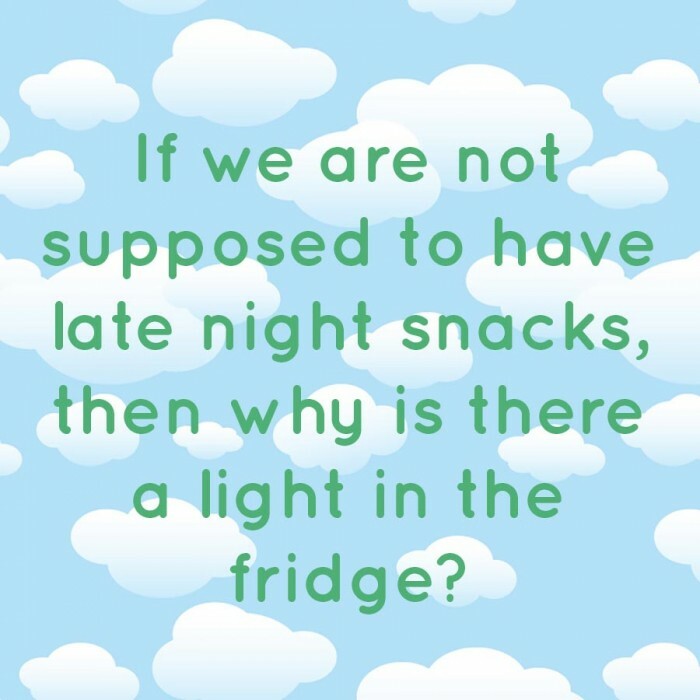 I have no problem with late night snacking. As this quote says, if we weren’t meant to do it, what is the light for?